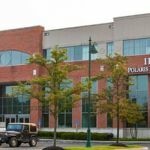 This three-story, multi-tenant commercial building on Polaris Parkway is perfect for both office and medical office users. 110 Polaris Parkway is a 50,000 square foot professionally managed, Class A building on three acres of land near the corner of Polaris Parkway and North State Street offering monument signage and excellent visibility. 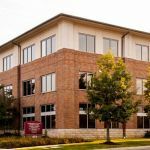 This property includes suites at 450 Alkyre Run Drive in Westerville, Ohio, perfect for both office and medical office users. The professionally managed three-story building of red brick with stucco accents was constructed in 2005. 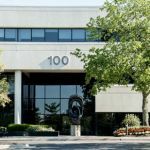 This Class-A multi-tenant office building totals approximately 89,000 square feet. Built in 2000, the four-story building is a modern brick design with architectural precast and stucco accents. Parking ratio is 4.0/1,000 rsf. 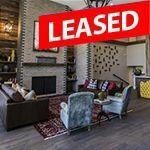 This well-maintained property offers on-site professional property management and fiber connectivity through multiple carriers. 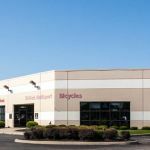 Located at the prestigious I-71 and Polaris Parkway interchange on the northern edge of Columbus, this six-story multi-tenant office building totals over 155,000 square feet. 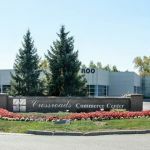 Constructed in 1998, the building features a glass curtainwall exterior with architectural precast and stucco accents, a convenient circular drive at the main entrance and a graceful landscaped setting. The Professional Park at Golf Village is a 25,230 square foot development with 17 units. Part of the Golf Village Community in Powell, Ohio, it is adjacent to Kinsale Golf & Fitness Club and just miles from Scioto Reserve Country Club. 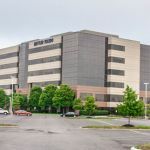 Corporate Hill II is a 98,000 square foot, professionally managed multi-tenant office building with excellent visibility from I-270 and close proximity to State Route 23. Located in the Worthington submarket, this three-story building has an interior atrium and is served by two elevators. 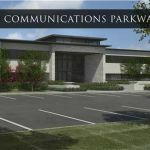 Surrounded by mature trees and landscaped parking that wraps around each building, the setting for this 77-unit, 99,000+ square foot office development is beautiful and serene. Built in 1986, the one- and two-story stone buildings have a parking ratio of 4.05/1000 rsf. 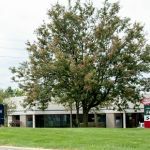 This two-story office complex in northern Columbus features 30 office suites that are perfect for small businesses. Built in 1986, the 35,136 square foot complex sits on a 1.95-acre lot. It has been recently remodeled and is professionally managed. 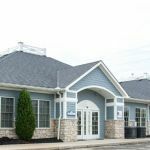 Located within a peaceful commercial development, this building features a welcoming entrance and brick exterior with architectural detailing. 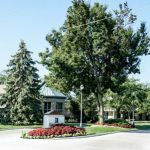 The property is professionally managed and well-maintained, providing a wonderful environment for employees and visitors alike. 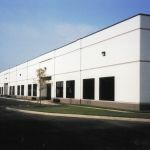 This property is a 50,000 square foot two-story architectural precast office building with glass accents, developed on 6.29 acres and constructed in 1994. 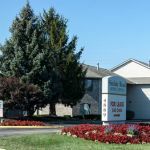 Located in the Dublin, Ohio submarket with immediate access to Tuttle Crossing Mall and I-270, this building sits at the intersection of Emerald Parkway and Lakehurst Court. 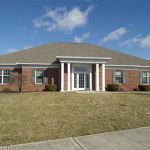 This property is a 21,950 square foot two-story class A brick-faced medical office building with glass accents, developed on 2.01 acres. 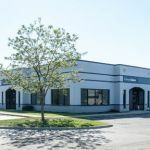 The building was constructed in 1984 and was fully renovated in 2016, inside and out, and features high end finishes and new mechanicals, stone columns and walkways, and grand lighting. 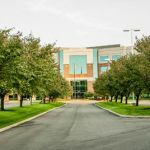 This property is a 19,436 square foot two-story class A brick-faced office building with glass accents, developed on 3.63 acres. 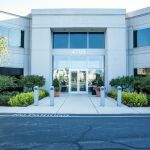 The building was constructed in 1984 and was fully renovated in 2016, inside and out, and features high end finishes and new mechanicals, stone columns and walkways, and grand lighting.